I am a New York artist originally from Los Angeles. I created the term “The Art Engineer” to remind myself of the power artists have to “engineer” and show the possibilities of self defined reality. By creating conversation about identity and pop-culture’s excess, my work becomes a mirror that reflects the familiar in altered perspectives. I have had the great privilege to show my work in Miami during Art Basil, Charlotte, and Chicago and internationally at The Truin Museum of Art in Italy. Collaging, to me, is the ultimate democratic and political art practice. It’s source material can be anything and everything available to the artist. Every choice the artist makes gives new meaning and context to the images being collaged. 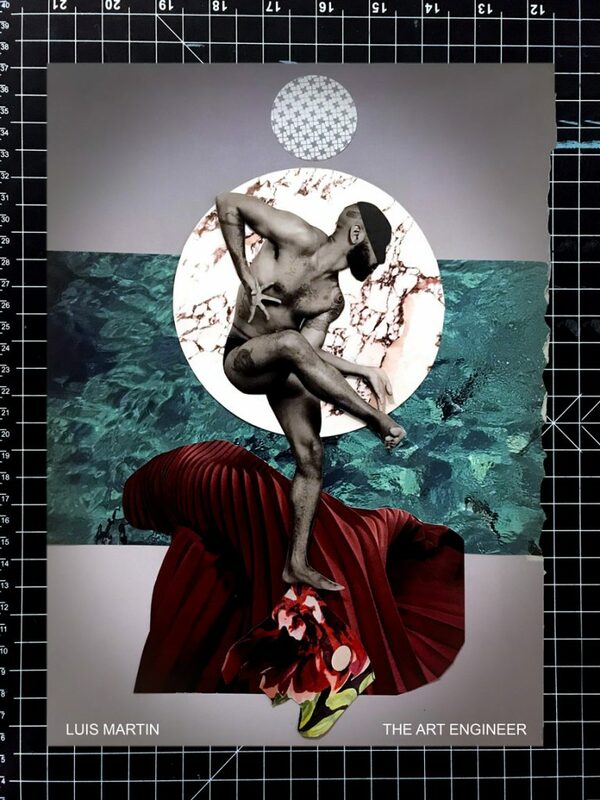 The collage “Ace of Courts” is an image that shows a person at the center of all their gifts and potential reclaiming a sense of self that is sometimes lost growing up queer, of color or just not like everyone else. By exercising appropriation, an act usually limited to those with absolute power, I give meaning to the images around me instead of it being imposed on me, through media and advertisement. Through this work, I hope to create a moment of reflection for the viewer LGTBQ or not, to feel their center as a point of departure for pride.